The NZX-owned exchange-traded fund (ETF) business, SmartShares, is short a senior executive after incumbent, Dean Anderson, resigned. Anderson, who finishes a six-year stint with SmartShares at the end of this week, took over as product manager for the-now over $2 billion index fund unit in 2014. Hugh Stevens, NZX head of funds management, said Anderson contributed significantly to the growth of SmartShares over that period as well as “educating the New Zealand market on the benefits of ETFs and index investing”. Until 2015 the SmartShares range was limited a suite of just five ETFs focused on Australasian equity markets. However, post its $35 million purchase of KiwiSaver and superannuation firm, SuperLife, late in 2014, the NZX issued 18 more ETFs spanning most asset classes. Before joining SmartShares, Anderson spent two years on the NZX energy markets team. He was leaving to pursue personal interests, the NZX says. 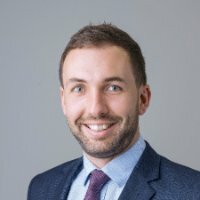 Meanwhile, Harbour Asset Management has also lost one of its young guns following the departure of fixed income investment analyst, Declan McKeefry. McKeefry, who joined Wellington-headquartered Harbour from Implemented Investment Solutions in 2016, is now “looking for opportunities in New York” after winning the US Green Card Lottery, according to his LinkedIn page. A Harbour spokesperson said the firm had short-listed potential candidates for the now-vacant fixed income analyst role. Harbour also recently hired a new operations analyst to work alongside Cheryll Morales, who took on the back-office role in 2015. The new recruit, Mitchell Rooney, previously worked for FNZC – Harbour’s majority shareholder – in a financial operations role. In a busy week in the NZ funds management job market, third-party distribution firm, Heathcote Investment Partners, also named South African ex-pat, Mike Ruetsch, as its new key account executive. Ruetsch replaces David Batty in the position. Australian multi-affiliate funds management shop, Pinnacle, appointed Batty as its inaugural NZ-based representative last September. Heathcote promotes a range of both local and mainly Australian fund managers in NZ including: Castle Point; Fiducian; Maple-Brown Abbott; Allan Gray; APN Property; Dundas Global Advisors; Daintree; Peters MacGregor; Premium; and Pengana.